Housewife Amanda Rio leads a seemingly normal life. She takes care of her husband Bobby and their 12-year-old daughter Mary in their quiet suburban neighborhood. She cooks, cleans and shops like any other homemaker. But her life is a continual nightmare. Amanda lives with a monster: her husband Bobby. The burly man has a short fuse and he frequently takes out his frustrations on his wife. She seeks the help of a trusted priest and manages to convince her husband to begin couples counseling after Bobby inadvertently injures his daughter during one of his tirades. 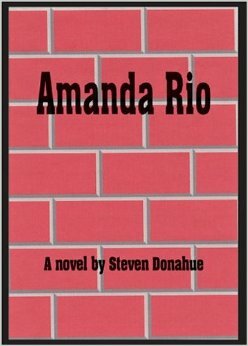 However, Amanda's relationships with two different younger men threaten the Rio's marriage and her own safety. This character-driven story explores Amanda's efforts to repair her marriage, and her self-destructive personality that complicates her quest. The only thing she wants is to live a safe and happy life. But her own foolish impulses may destroy her dream.